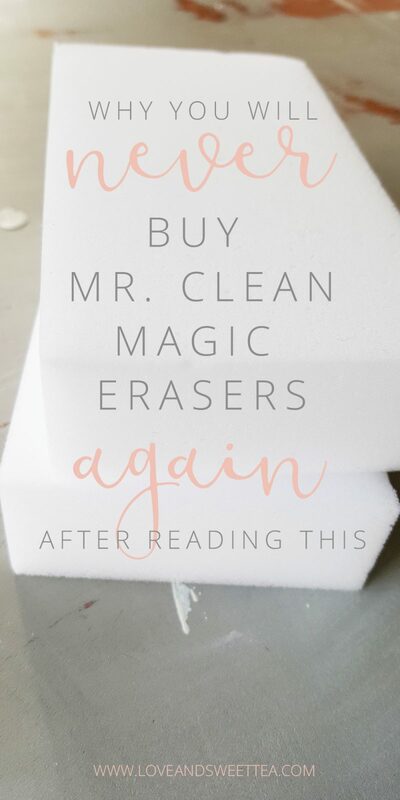 You love Mr. Clean Magic Erasers. They’re amazing for cleaning everything around the house. You never know what a Magic Eraser can clean next, amiright? Plus, they’re chemical free, which means they’re safe even for a home full of kids and pets. I actually love Magic Erasers. They have saved the day more times than I can count, and if you check out my Pinterest board for cleaning, you’ll see that I pin Magic Eraser pins all the time because they’re so helpful. Need your glass stove top cleaned? Magic Erasers are the answer. Need to clean your glass shower door covered in scum? Magic Erasers save the day. How about how to clean the glass inside your oven? Oh yeah, Magic Erasers can clean that, too. How are you going to get your shoes clean back to the bright white they were before? Magic Erasers are the secret. Do you have scuff marks on your floors? Just whip out your Magic Erasers. Ready to clean your outdoor furniture for spring? Magic Erasers can make springtime setup a breeze. Cleaning the bathroom. I use them all over my bathroom on cleaning day including the sink, bathtub, and fixtures. It will keep them shining like new. 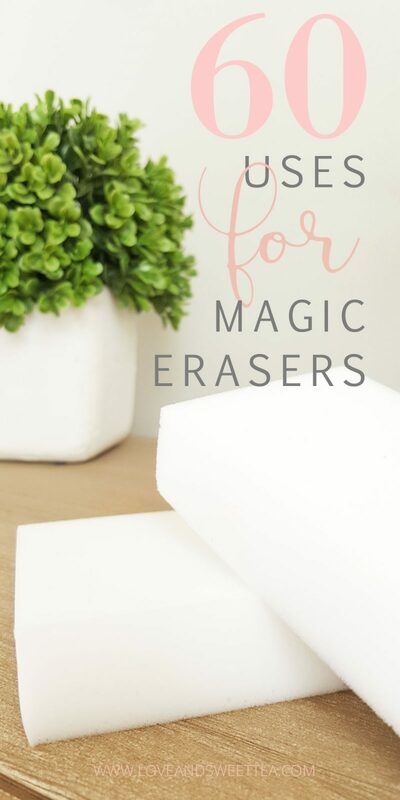 See even more uses for magic erasers here! But have you seen how much those puppies cost? Around where I live you can get 4 Magic Erasers for about $6. And I don’t know about you, but I’d much rather spend my extra $6 at HomeGoods than the cleaning aisle. And so, I get mine at Amazon. If you are a mom, Amazon Prime is an absolute gift from Jesus. It’s worth every penny to know that I can just order what I need when I think of it. It doesn’t matter if I’m chilling on the couch with hubs, at the doctor’s office, or sitting at my desk. I just order it and it’s here in 2 days. Before I remember to look for it, it’s sitting on my doorstep. Love Amazon. But here’s the thing, you can get way more options at Amazon than you could on your Target cleaning aisle. Plus, they have more specialty items, like a 50′ endoscope or pro-level bug spray or melamine foam. And here is why you will never buy Magic Erasers again. Because you can buy the EXACT SAME THING for a fraction of the price of Mr. Clean Magic Erasers. See, Magic Erasers are created out of melamine foam that’s been used as soundproofing and other more commercial uses for a while now. But, in the last “few” years, it has been marketed as a cleaning miracle. And, well, honestly, it pretty much is. So, if you want to save a buck, you can stop buying the mass-marketed Mr. Clean Magic Eraser and buy melamine foam. In bulk. For cheap. Fo’ real. You can buy 100 regular magic erasers for $10 or 100 extra thick magic erasers for about $30 . And why wouldn’t you? I mean, really? Oh, and if you like the fancy Magic Erasers, like the ones with the blue stripe or the bumps/ridges in the middle, you can find those on Amazon, too . So, what are you waiting for? Go make some magic happen! 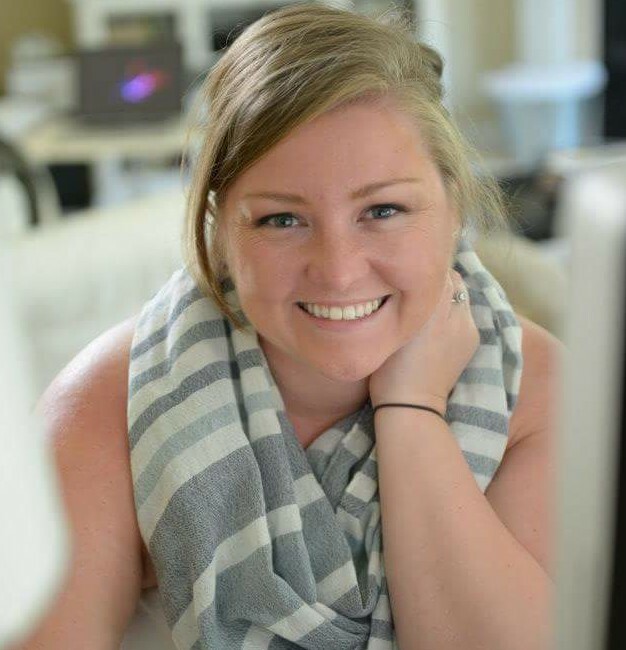 If you enjoyed this post, you’ll probably like this one about how I get it all done as a work at home mom working about 4000 hours a week. Ok, so, maybe not that many hours, but it sure feels like it! And if you’re fighting a dirty house, this is how I finally won the war with pet hair! And how I cleaned a disgusting house we bought. 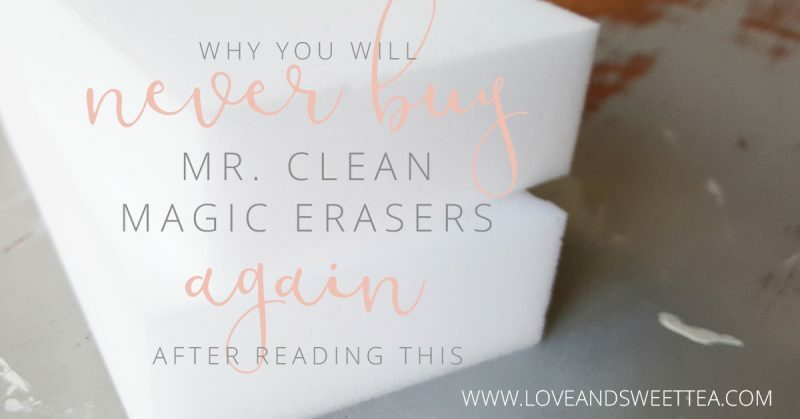 I have read reviews on Amazon that the magic erasers were not as good as Mr Clean. Which ones do you order. I did see that some people said that they weren’t as good as the name brand, but some of the reviews adore them. Apparently, you need to make sure your seller is reputable because some of the sellers of this product are selling an inferior magic eraser. I have found these are not quite as sturdy as the name brand, but for 1/16th of the price they are awesome by my standards! I feel like I can magic eraser anything now! They are every bit as good. Also, they are cheap on Ebay. Sometimes cheaper than Amazon. I was not happy with the results from the generic ones. More scrubbing effort and fall to pieces faster. Oh, no Virginia! I’m so sorry to hear that. There is a chance that one of those less reputable sellers stepped in on Amazon? I hope you have better luck with it next time! By the same company. There is only one company that makes the various names of erasers. That would not surprise me one bit, Lynette!! i have a tip if u have wax floor tiles do not use magic erasera they dule the wax . I never got into the erasers. Guess I should give them a good try. I think they have to be dampened first, right? Interesting , thanks. I have been buying these for years and love them. I would never consider buying the high price ones again.